Weaving is so much fun. 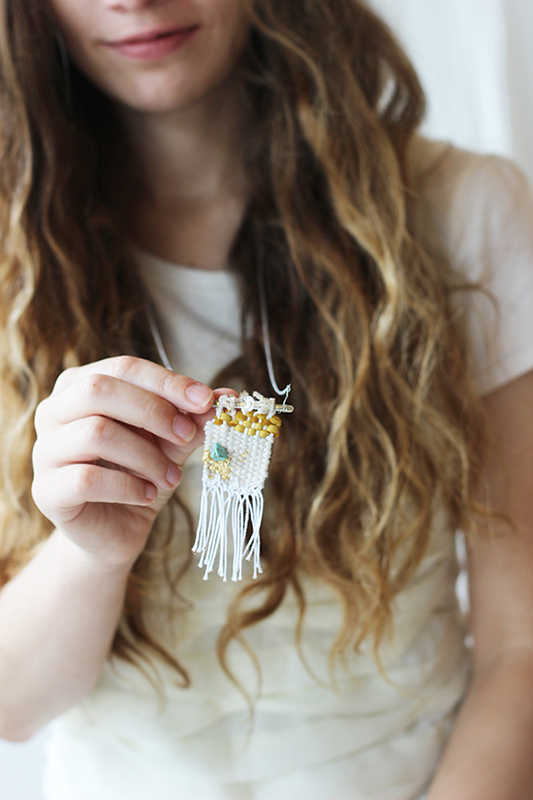 Woven necklace from Say Yes. These are stylish. 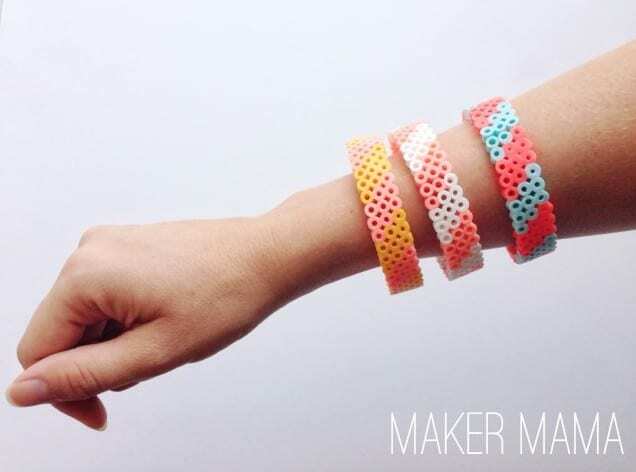 Perler bead bangles, from DIY Candy. On the to‐make list. Crochet tunic from Lion Brand Yarn. 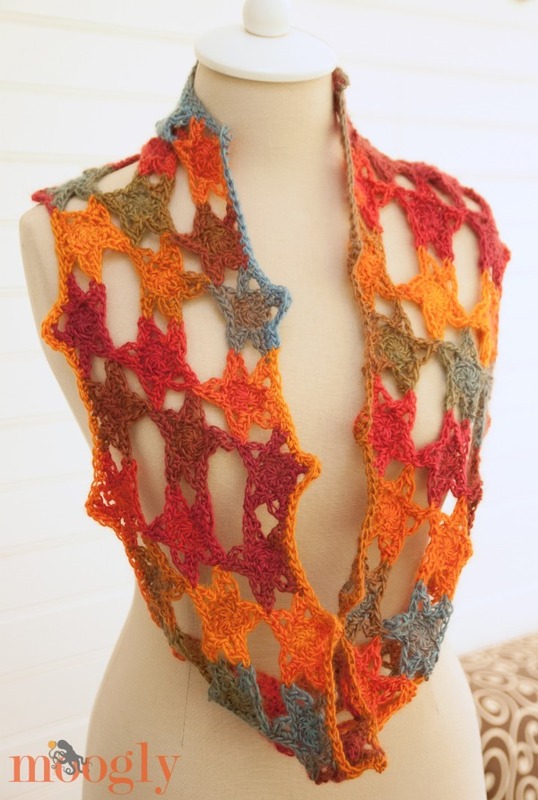 Also from Lion Brand Yarn, perfect crochet piece for fall. 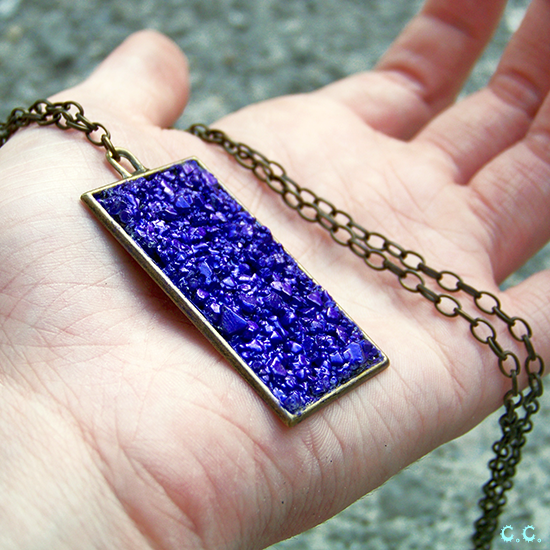 Grow your own crystal necklace — how neat is this? Now I just have to figure out where to buy alum salt… From The Cwafty Blog. This requires a proper pom pom maker, but it will be worth it. 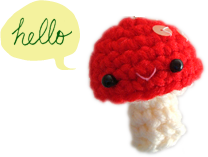 Mushroom pom pom from Small Good Things. 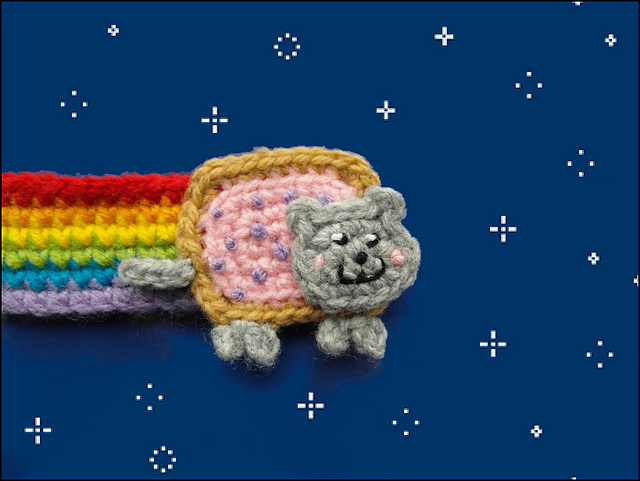 Love the Nyan Cat scarf patterns but thought it would be a bit much to actually wear them… but a bookmark! Everyone can use a bookmark. From Cute & Kaboodle. The Purl Bee always has boxy blouse patterns that I love. Love that this is made of stars. Crochet Cowl from Moogly. Made from a pillowcase! From Lil’ Bit & Nan. You should be able to find alum in the baking aisle/spice aisle of the grocery store. I think it’s used in pickling things. I made alum crystals as a science fair project in grade school. You’ll like it. It’s kinda fun!